Our clinic has implemented extensive earthquake countermeasures, including a crisis management system (emergency reporting system in cases such as malfunction in the incubators), and a private electric generator to provide backup power during a power outage. At Kyono ART Clinic, we will continue to make a concerted effort to create a place which is comfortable and achieves an even higher pregnancy rate, while pursuing safety and further advanced technologies. We look forward to your visit. Let me introduce myself. I am Koichi Kyono, Chief Director of Kyono ART Clinic Takanawa. At Kyono, our motto is "patient-oriented treatment." We provide various types of highly advanced medical treatment at the highest level, ranging from timing method to IVF, as well as micro-dissection testicular sperm extraction for patients with azoospermia. When the Great East Japan Earthquake occurred in March, 2011, our clinic in Sendai was unaffected by the power outage and continued operation using our private electric generator. Still, I decided to open a clinic in Tokyo as well, considering it much safer to store patient data and culture solutions in two places in case of emergency or accident in the future. At Kyono ART Clinic Takanawa, treatment is provided based on the three pillars. The first pillar is "male infertility." Dr. Koichi Nagao, a urology specialist, performs MD-TESE treatment for azoospermia, in which a microscope is used to retrieve sperm from the testes. The second pillar is "FT (Falloposcopic Tuboplasty)," which treats blockage or stenosis in the fallopian tubes. This surgery is covered by insurance and hospitalization is not required. The third pillar is "IVM (In-Vitro Maturation)." This method is designed for patients with polycystic ovary syndrome (PCOS). To avoid adverse effects, immature eggs are matured and fertilized in vitro and then transferred into the mother's womb. Kyono ART Clinic also provides support for patients with leukemia and cancer who wish to conceive, taking advantage of infertility treatment technologies. Before administering radiation or chemotherapy, we make preparations for future pregnancies by collecting and preserving eggs or part of the ovary. Over the past 17 years, we have achieved more than 10,000 births. We seek to provide warm and friendly treatment and hope to be of service to all our patients. We look forward to your visit. Affiliated academic societies, position, etc. 1978. Graduated from Fukushima Medical University, entered the Department of Gynecology and Obstetrics, Faculty of Medicine, Tohoku University. 1983. 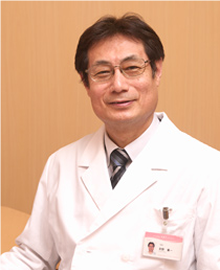 Kyono and his team successfully achieved pregnancy and birth by IVF for the first time in Japan. July 1995. Opened Ladies Clinic Kyono (Osaki). March 2007. Opened Kyono ART Clinic (Sendai). October 2012. Opened Kyono ART Clinic Takanawa (Minato-ku, Tokyo).